Series Patchmaker No. 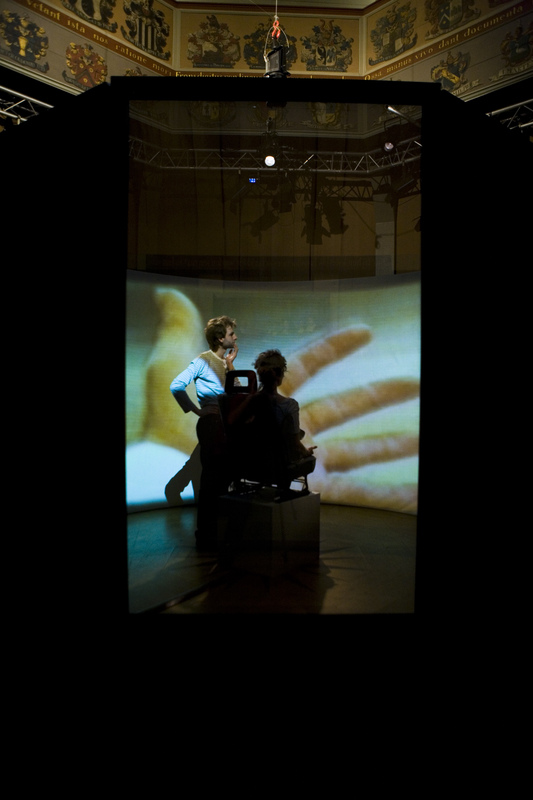 1 ‘Marloeke, 1971’ is the first part of a series of interactive, performative installations in which the human body itself is the actual interface. It is a meeting of two bodies, both continuously shifting between roles – performer and spectator, intimate flesh-and-blood and mechanical object. Seven sensors are attached to the different body parts of the performer. 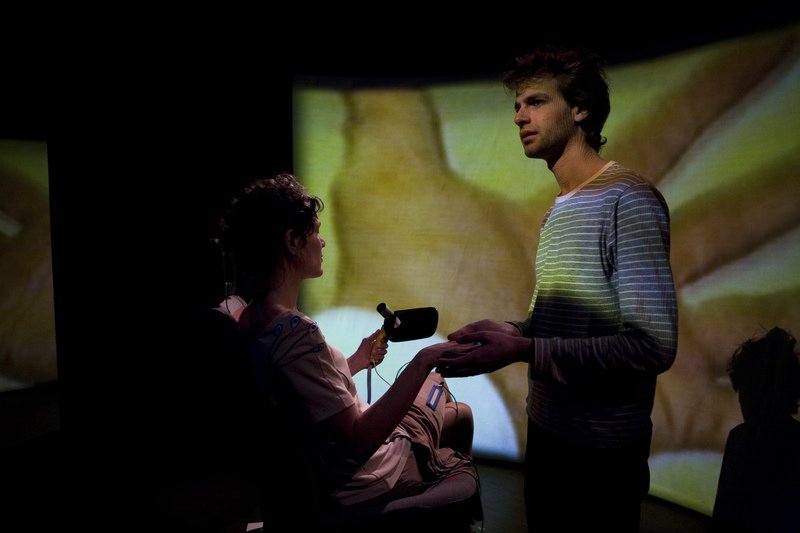 Touching or moving the performer’s body triggers (video) images, soundscapes and physical (re)actions. Together they give insight into the events of her past and her possible alternative futures. Moreover, the material repeatedly culminates in ‘the accident’. The technology gives access to information our senses would normally not perceive. It invites the visitor to communicate with the performer in a special, personal and very intimate manner. The video and audio material and the lights respond to the visitor in real time, and influence each other and the performer’s actions. 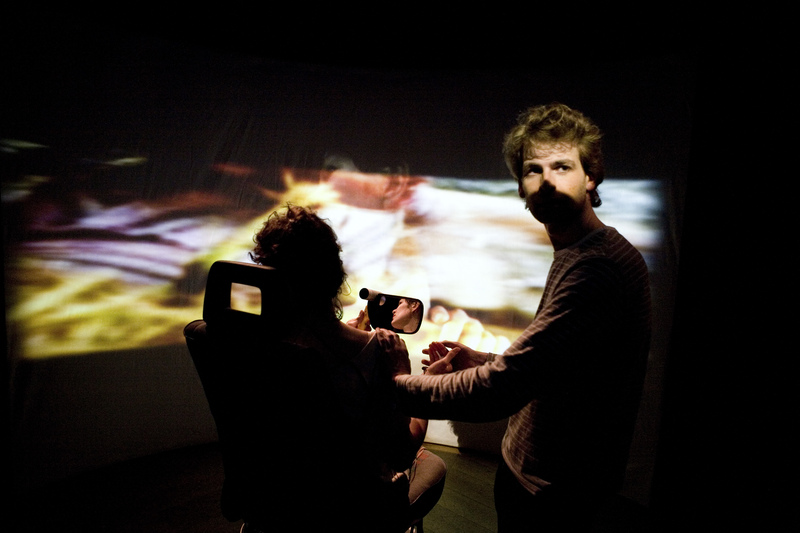 The memory of the body is manifested in fragmented audiovisual displays and the physical reactions of the performer. What is your part in the story that is put together?